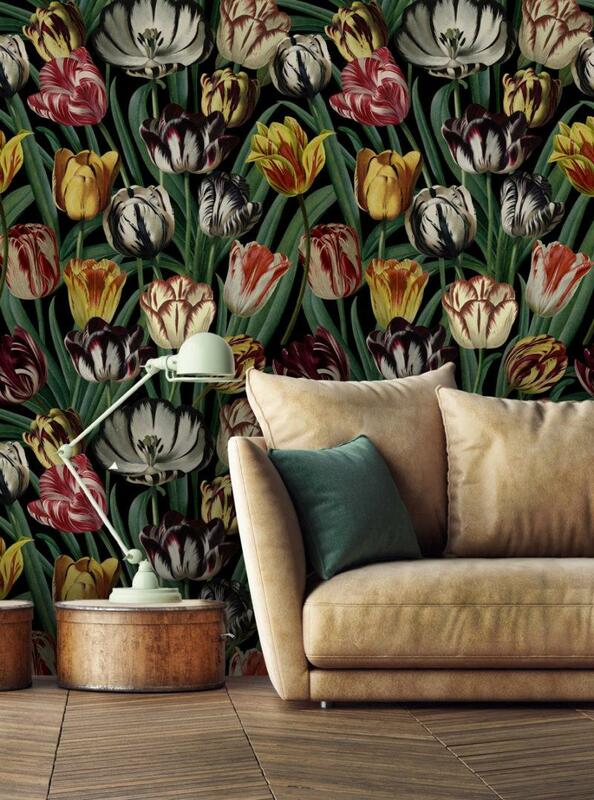 A beautiful bold tulip print wallpaper. 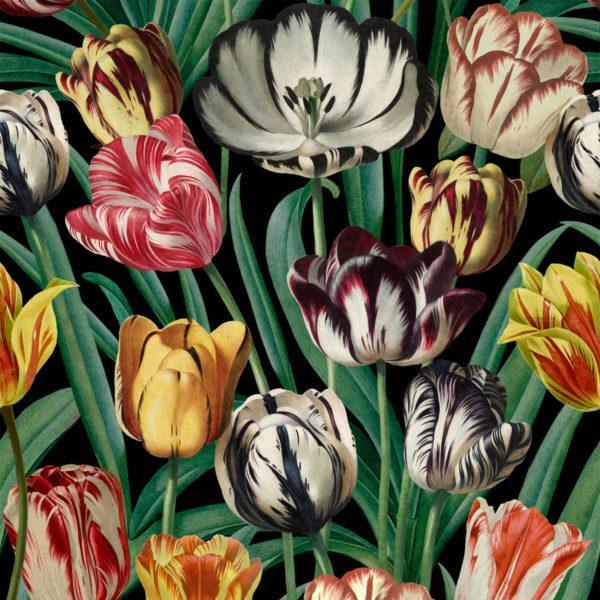 For this summery story, we look at the world of flowers through the eyes of a florist. With passion and love for beautiful plants, taking gentle care for each piece, we reshape and mix vintage floral illustration creating a world full of colours and joy.